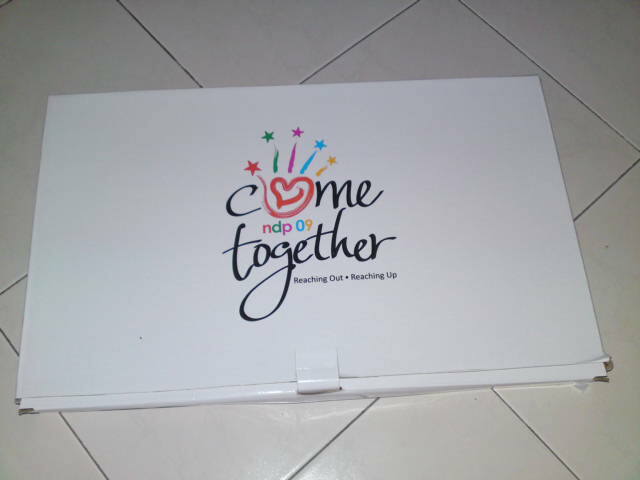 Went to Community Chest HQ @ Ghim Moh to collect my special edition NDP funpack. Every $15 donation to Community Chest entitles you to ONE Special Edition NDP bag. Am so happy to be able to do a part for the needy and also able to get myself such a cool bag. 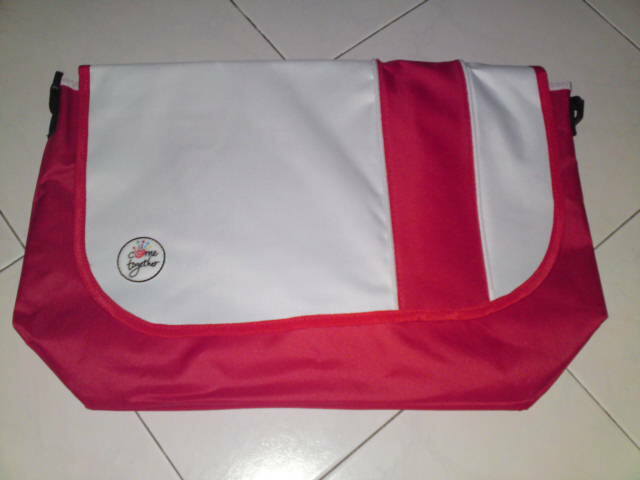 The bag is red and white in colour, and like the other NDP funpack, convertible between a messenger bag and tote bag. It does not have the sponsor logos that the other funpacks have. Anyone interested in getting one too???? Click here for the donation form. This year, even my dad bought me a birthday cake. He is a very traditional a.k.a old fashioned man who don’t believe in celebrating birthday for youngsters. Am so touched!!! Though mummy dearest play a part too (By pressurizing him into getting one). But then he is the one who sang the loudest birthday song to me, the one who enjoyed the biggest sliced of cake (Sob!! Sob!!!! Its my birthday leh!!!!) and last of all, a BIG hongbao from both of them…. Its my birthday today and my best friends have come together to buy me a present. Its really very sweet of them. 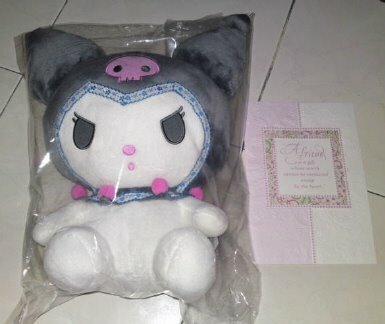 They got me my favourite kuromi plush toy. Shall put it beside my bed and hug it to sleep nightly. Not forgetting all the smses I have received, from my friends and colleagues. Then next is my youngest brother. 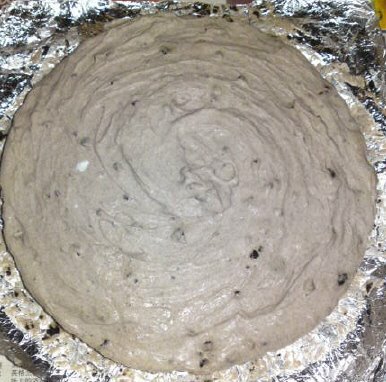 He who had never baked a cookie, or make any pastries before, make me a oreo cheesecake all by himself. I’m so touched. The cake may not look appetizing and the color slightly off but its the thoughts that counts. Its definitely the most delicious cake I have ever eaten. I am indeed the most fortunate gal on earth.